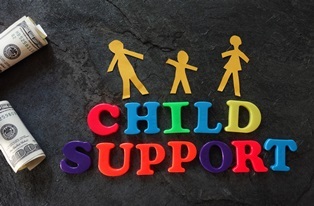 If you are a non-custodial parent making child support payments, it is important to understand how this will affect your personal injury settlement. Although a settlement won't increase the total amount of support you owe, the funds from the settlement can be seized to repay past-due support. If a parent can't pay the required child support due to job loss or legitimate financial hardship, he can file to have the payments reduced. Simply ignoring the required payment places the parent at risk of a number of penalties, including a contempt of court change and inclusion on the state's "Most Wanted" list of non-custodial parents who owe at least $10,000 in child support and have not made payments in six months or more. There is a 10-year statute of limitations for collecting past-due child support in Louisiana. However, a number of conditions can pause the clock for collecting this debt, so you should not assume the debt can't be collected until this information has been confirmed by someone familiar with your case. Personal injury settlements are considered assets for the purpose of making child support payments, which means parents who are not current on their payments can expect to have a portion of their settlement taken to satisfy the debt. Parents who haven’t paid or are behind on their child support have their names entered into a database known as the Louisiana Insurance Intercept Database. Insurance companies are required to register with this database and provide information on all individuals making claims. This is done by entering Social Security numbers, first and last names, and birth dates. Insurance companies are encouraged to search the database early in the process, but no later than 30 days before a settlement is reached. When a match is found, the Child Support Enforcement Office, the insurance company, and the parent owing the debt are notified. You will be given an opportunity to stop the lien if you believe there has been a mistake. However, if you go before a judge and the debt is proven valid, you'll be responsible for the cost of the court proceedings. The lien on your settlement will be based on the funds that remain after costs for legal fees, medical expenses, and applicable property damage are deducted. Your attorney is bound by law to comply with all liens on your personal injury settlement, so it's in your best interests to remain current on your child support payments while your case is pending. If you have questions related to how your child support payments are calculated and the methods of enforcing payments for past-due support, you should consult an attorney with experience in family law. If you need your support payments reduced due to an accident-related disability that has affected your earning potential, a family law attorney can also help with this process. Neblett, Beard & Arsenault's award-winning legal team is dedicated to protecting the rights of Louisiana residents who have been injured due to the negligence of others. Our personal injury attorneys can gather evidence to support liability, document your damages, find expert witnesses to testify on your behalf and negotiate with the insurance company for the highest possible compensation. Contact us online or call our office directly at 318.588.6303 to schedule a free, no-obligation case review.